Multi-location brands that integrate local focused marketing into their existing marketing strategy may enjoy a 10-15% revenue increase, according to a new report released by Local Vox. The report also cautions that pay-per-click (PPC) ads alone may not get the job done. In fact, only 2% of local businesses found PPC ads to be effective on the local level, behind even radio and TV advertising. Multi-location brands should integrate local SEO best practices with localized content marketing and mobile optimization in order to directly connect with target customers on a local level. #1: Build awareness with localized content marketing. Localizing content so that it is authentic and relevant is the primary challenge for multi-location businesses. Managing manual content production on a localized basis can be a daunting task. Successfully doing so, however, is key to standing out from the competition. Sending blast emails or using your local Facebook page to only promote in-store sales is short selling the potential of real localized content marketing. Instead, start by building a narrative and genuine dialogue with consumers in the local community by understanding and connecting with their wants and needs. #2: Drive new customers with local search optimization. 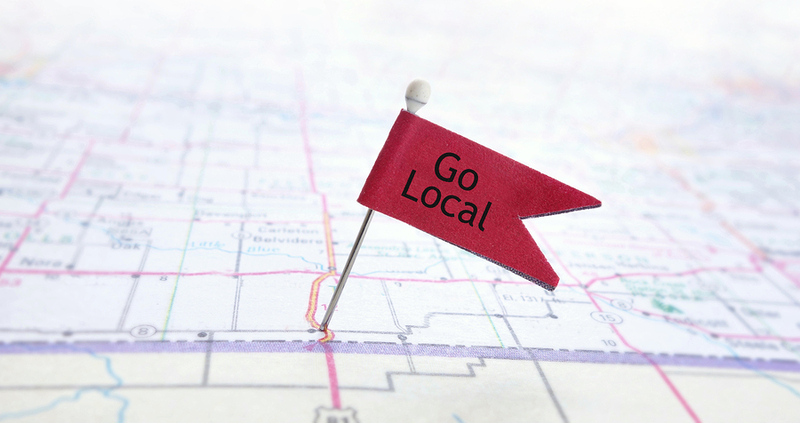 Local search requires a different approach than national search optimization. The local SEO approach should be focused around location-based pages on your site and include external sites like Google+, Yelp, Facebook, and other online business directory pages that support location tagging. If you have not done so already, claim your Google+ location listing. While 88% of local mobile searches convert to a phone call or visit within 24 hours, 70% of Google+ Local pages are unclaimed, according to Local Vox. Worse, over half of all business listings have Name, Address and Phone errors across their business pages, a sure-fire way to hurt your local search presence. Once you have claimed your company pages on the top local business directory sites, confirm that all the listing information is correct down the last computer character. #3: Prioritize location pages on your website. Optimize your website for local search by creating location-specific pages with location-specific keywords and schema markup. Monitor analytics to see how your location-based pages are performing in different search results. Understanding this data will help your business better identify opportunities for improved engagement through localized content marketing and social media. The right data enables your business to effectively execute a local focused marketing strategy. #4: Mobile friendly web design. Finally, don’t forget to have a mobile-friendly website! Don’t force your customers to pinch and zoom on a smartphone in order to find the information they need about your business. A responsive or mobile version of your website is important for user experience and driving organic mobile search traffic.